Come and see us at this year's Motorhome & Caravan Show to get a first look at our new 2016 AirAway and AirAwning range! With 2016 being our 50th Anniversary, we have introduced exciting new features, designs and fabrics to our collection, ensuring you have the perfect awning to suit all occasions. As pioneers of inflatable tents in 2011, we were determined to introduce this innovation into the awning market. 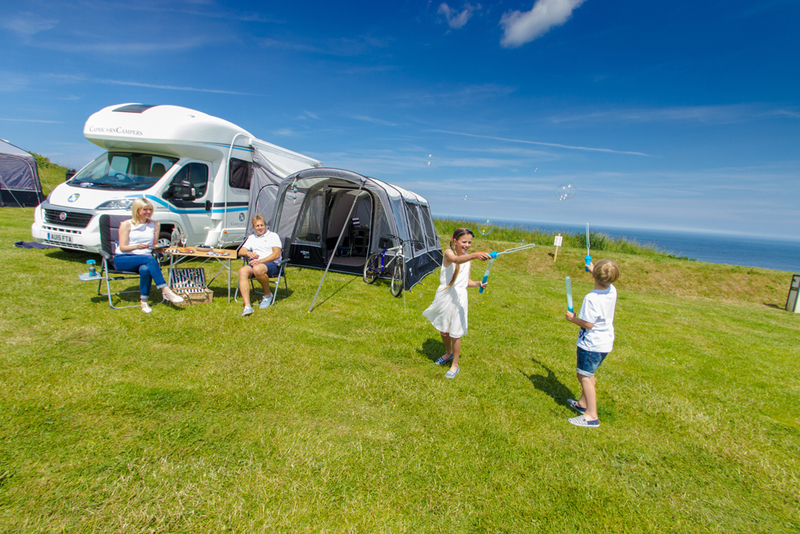 In 2013, we launched our AirBeam awnings, suitable for caravans and motorhomes and have never looked back! Every year we strive to exceed expectations and strive to make awnings that enrich holidays. For 2016, we have expanded our Drive-Away collection further with the introduction of the Galli, ideal for anyone who desires a larger, more useable space from their awning. We have also developed the Kela Deluxe, which offers a more luxurious experience, available with a removable zipped canopy for extra shelter from the elements. Following the success of our Drive-Away awnings, we proudly introduced our collection of caravan awnings in 2014. Our models offer durability, high quality and precision, that saves time and eliminate stress when setting up at site. For 2016, the popular Braemar and Varkala continue with impressive updates, including our new upgraded fabrics and optional storage. New to the collection are the Rapide and the range topping Kalari, available in multiple sizes, featuring the new Sentinel fabrics and SuperBeams. We have also developed a Kalari Annex, designed to compliment the Kalari range, by providing an extra external bedroom or even storage space. 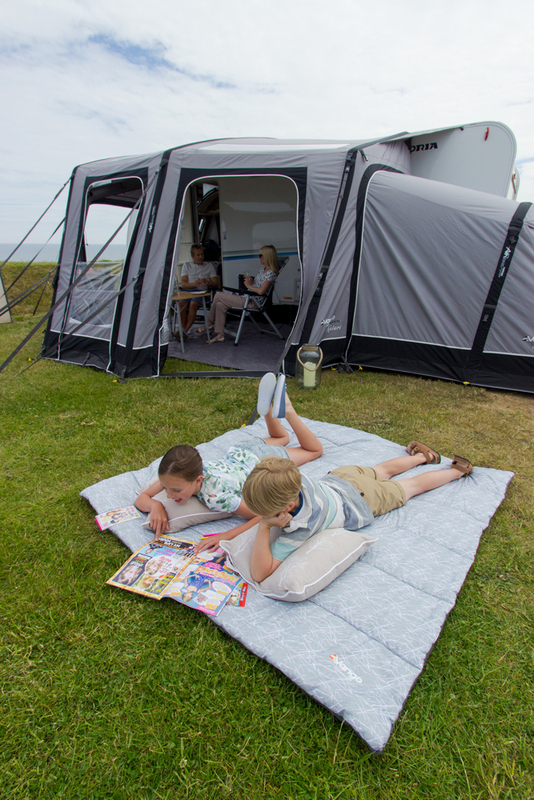 The Vango awning range has grown throughout the past few years, offering many options, catering for many needs. Don't miss out in seeing Vango's AirAway and AirAwning NEW 2016 range this October!